The Cayman Islands enjoy a rich seafaring heritage. The Cayman Islands Shipping Registry (CISR) is part of the Red Ensign Group of Category One British registries comprising: Bermuda, Cayman Islands, Gibraltar, Isle of Man and the UK. 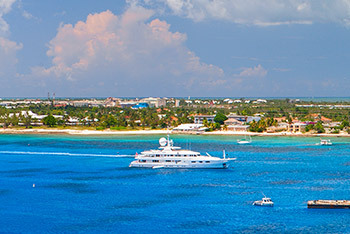 As a Category One British Registry (granted in 1991), the Cayman Islands are able to register vessels of all sizes and classes, from small yachts to super tankers. However, as a matter of policy, fishing vessels are not currently being registered except those owned locally and operating in Cayman waters. 4. Global Reach – Located in 15 countries and 19 locations including the Cayman Islands, Brazil, China, France, Germany, Greece, Italy, Japan, The Netherlands, Panama, Philippines, Singapore, South Africa, United Kingdom, and the United States.